Dr Lauren Tooker is Early Career Fellow in the Institute of Advanced Studies and Department of Politics and International Studies. Lauren specialises in everyday and cultural approaches to political economy and political ethics. 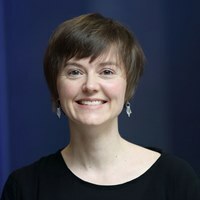 She is Associate Editor of the Journal of Cultural Economy and has published on the everyday politics of debt and credit and the digital turn in social finance. In 2018, her doctoral research was awarded the Jean Blondel PhD Prize for the best thesis in politics submitted throughout Europe, as judged by ECPR, the European Consortium for Political Research. Her current book project examines the democratic potential and limits of new forms of debt resistance in the afterlives of the global financial crisis. Her latest research project examines the contemporary turn to digital technologies and data politics to secure financial relationships between citizens and the state. Lauren regularly speaks on finance and debt at public events and participates in an action research collective working on the same topics. She has taught nine modules in International Political Economy, Security Studies, Politics and Critical Business Studies and emphasises imaginative and critical thinking, example-based learning, and formative feedback in her teaching practice.